This is the Something Special Gift Baskets logo. 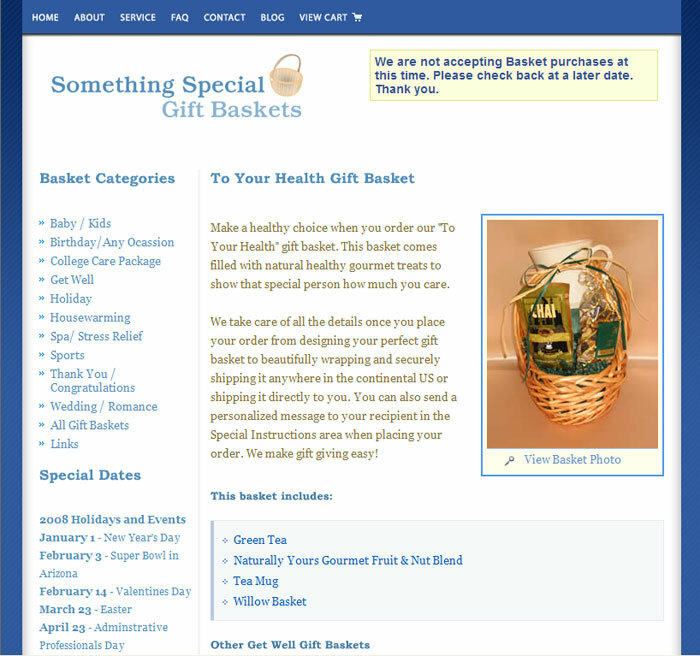 This is a mockup of the Something Special Gift Baskets homepage. This is a screenshot of an actual item on the live website. 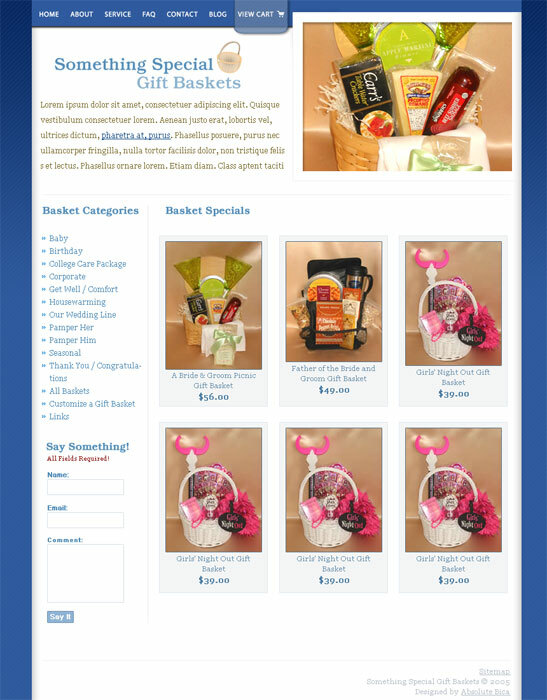 Something Special Gift Baskets relied on word of mouth for much of its business, but needed a web presence to help expand sales. I helped Something Special Gift Baskets provide an easy to navigate website that highlighted the gift basket contents, similar items, prices, utilized PayPal for purchasing, and built a site CMS from scratch.